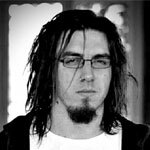 Marcus started in the industry in 2003, and has been with Holier Than Thou since our inception in 2005. 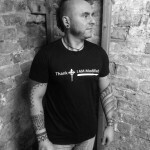 He’s our very own ‘Modfather’, Marcus has well over a decades experience with the piercings and body modifications that we offer within our studio, he helped to modify and perfect the techniques we use today. Likes: Eating. All of the food. Gym. Rock Climbing. Horror films. Regularly dancing like a dad at a wedding. Hell has been with Holier Than Thou since 2013, and has developed some of the unique techniques we use today. Specialising in piercing, blade scarification and ear reshaping work, Hell is always excited to help people achieve their body perfection. 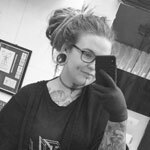 Been in the industry since 2006 and is one of our gorgeous piercers. Likes: Gaming, drawing, movies and cooking. She also takes care of all of our high end Jewelery and is an expert at advising you on creating your jewelry dreams, definitely the girl you want to talk to if you’ve any questions about fancy things, as she herself is dripping in gold, so you’ll be able to see the majority of bits in the flesh! 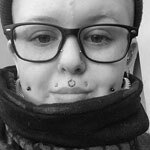 Kitty began her training in 2015 and has progressed to become an excellent, fully liscenced, trained and qualified piercer in 2017, a product of several studios, she brings some new flavour and experience to the team and is keen to continue and adapt under the wings of Holier Than Thou! You can also find her at our sister studio ‘Thou Art’ in Sheffield! Likes: Huskies, Harry Potter, ‘competitive lego building (!?!) and a Sushi. Likes: powerlifting, photography, graphic design, comic books, Gillian Anderson. Favourite piercing: piercing the film separating me from my peanut butter. Favourite Mod: sticking pencils up my nose so I can pretend to be a walrus. 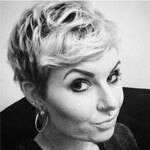 The wonderful Katie Dee from Vixen Inc. is our cosmetic tattooing and semi permanent treatment lady of magic. 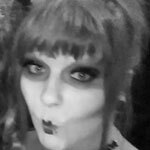 Formerly a paramedic, she brings years of medical experience to the team and offers eyebrow tattooing, lip tattooing, eyeliner, beauty spots and areola tattooing along with eyelash extensions and LOTS of glittery goodness. Likes: Good eyebrows, sparkles, being a mama and earl grey tea. 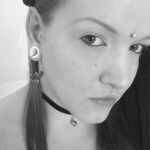 Favourite Mod: I love my pointy ears, and I love doing eyebrows! 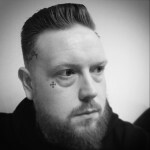 Kris has been tattooing since 2005 in Edinburgh and has tattooed in Manchester since 2011. Kris specialises in black work, dotwork and geometric tattoos (essentially anything that messes with your brain when you look at it!) but can turn his hand to most things and guarantees you’ll have a great time and a laugh throughout. 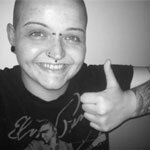 Christina has been in the industry since 2010 and is a real all round fabulous tattooist but particularly enjoys fun colourful work and animal tattoos.